Is There Less Drunk Driving, But More Drugged Driving? Posted by Salvatore J, Zambri, founding member and partner. Recent NHTSA studies results indicate that impaired driving enforcement now faces new challenges. Although the statistics reveal that drunk driving incidence has decreased, as more states legalize marijuana use, more drivers involved in crashes are testing positive for THC. Since 2007, the number of drivers testing positive for alcohol has decreased by nearly one-third. However, the same study showed a drastic increase in the number of drivers using marijuana or illegal drugs. The 2014 study showed nearly one in four drivers tested positive for drugs. The second and more difficult-to-analyze study by the NHTSA attempted to determine whether marijuana use by drivers correlated to an increase in the risk of accidents. This survey found that marijuana users are more likely to be involved in accidents. However, the group with the highest incidence of marijuana use was also the group that is already considered higher risk, young men, leading research experts and law enforcement agencies unable to draw definitive conclusions. Mr. Zambri is a board-certified civil trial attorney by the National Board of Trial Advocates and a Past-President of the Trial Lawyers Association of Metropolitan Washington, D.C. The association recently named him “Trial Lawyer of the Year”. Super Lawyers recently named him among the “Top Ten” lawyers in the Metro Area (out of more than 80,000 attorneys). He has been rated by Washingtonian magazine as a “Big Gun” and among the “top 100″ lawyers in the entire metropolitan area. The magazine also describes him as “one of Washington’s best-most honest and effective lawyers” who specializes in personal injury matters, including automobile accident claims, premises liability, product liability, medical malpractice, and work-accident claims. 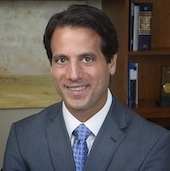 He has successfully litigated multiple cases against truck and bus companies, the Washington Metropolitan Area transit Authority, and other automobile owners. His law firm, in fact, has obtained the largest settlement ever in a personal injury case involving WMATA. Mr. Zambri has also been acknowledged as one of “The Best Lawyers in America” by Best Lawyers (2014 edition) and has been repeatedly named a “Super Lawyer” by Super Lawyer magazine (2014) – national publications that honor the top lawyers in America.